SINN FÉIN Social and Family Affiars Spokesperson Arthur Morgan TD has condemned the decision by 26 County Minister for Family and Social Affairs Mary Hanafin to dissolve the Combat Poverty Agency through an amendment of the Social Welfare Bill. Morgan accused Hanafin of trying to silence an independent critical voice. “The decision to revoke a body created in primary legislation through an amendment at the Committee Stage is unprecedented and cynical. The Minister had made a decision some time ago that Combat Poverty would be wound up and she could have easily expressed her decision in the Bill. The manner in which Combat Poverty is being dealt with is nothing short of a disgrace. “Because the Minister for Social and Family affairs wants the reality of poverty to be hidden from the Irish public, she has decided that she would silence the independent critical voice that is the combat Poverty Agency. “The process of eliminating combat poverty is being pursued by the Minister without any regard to the costs involved in integrating the agency with the Department of Social and Family Affairs. 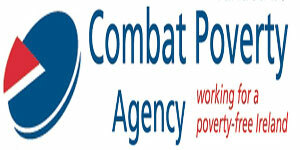 Combat poverty staff are also being stripped of their civil service status under the proposed amendment.